Hi! I'm just popping in with a quick share of a card I made for a co-worker's daughter. For her 12th birthday she requested a hair and nail party so naturally I thought of So Pretty from The Paper Shelter. 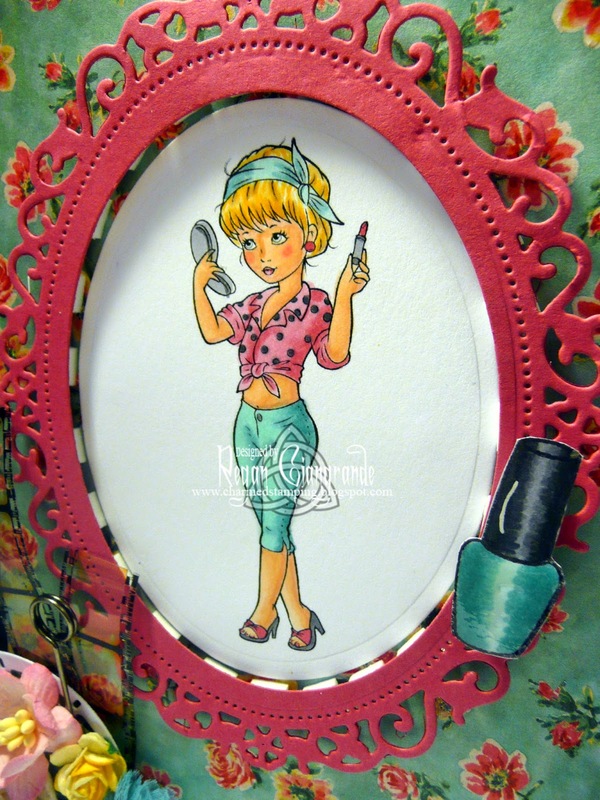 She is colored with Copics and cut using the Classic Ovals Nestabilities (Spellbinders). 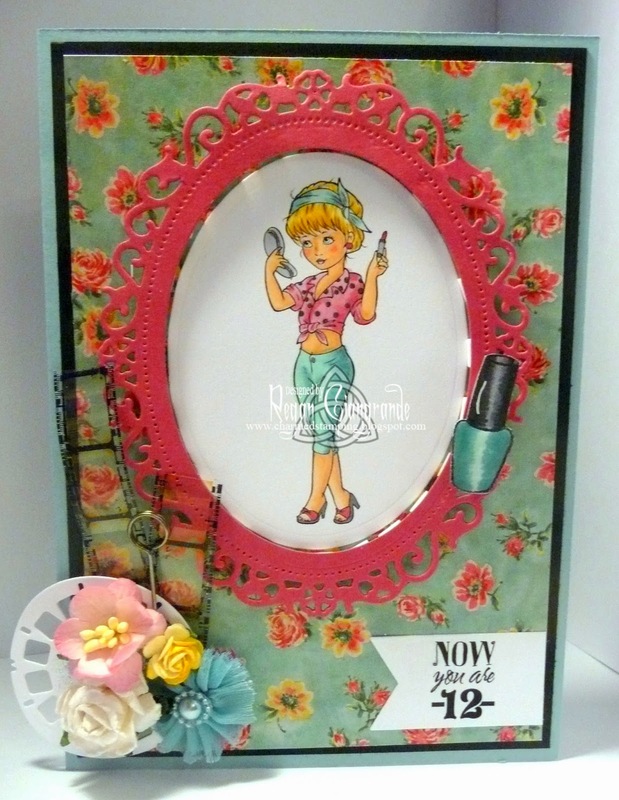 I cut a frame for her using Floral Ovals and Classic Ovals Nestabilities (Spellbinders) and popped it up on foam squares. Papers are DCWV - Vintage Collector. 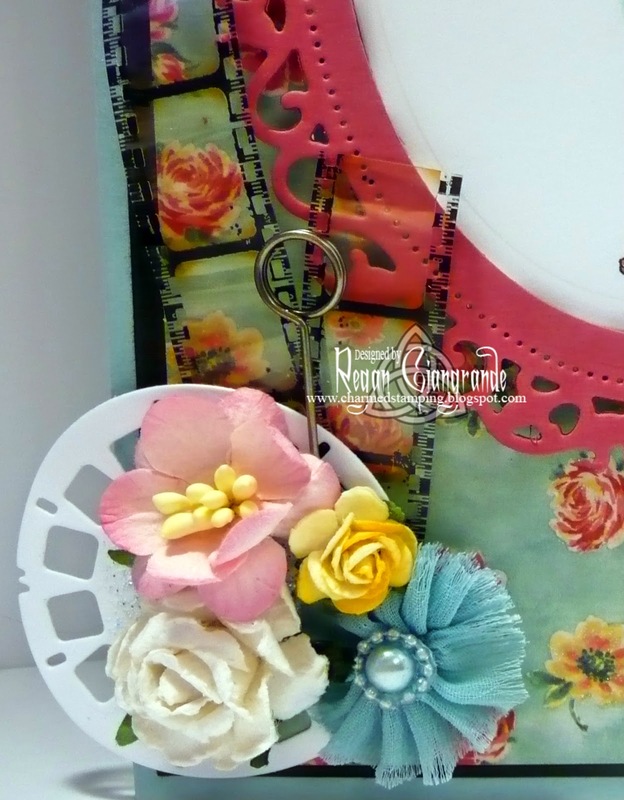 I added flowers, Tim Holtz film strip and memo pin, and the Magnolia View Master Doohickey die. The nail polish bottle is from a My Favorite Things stamp set called Girls Day In. 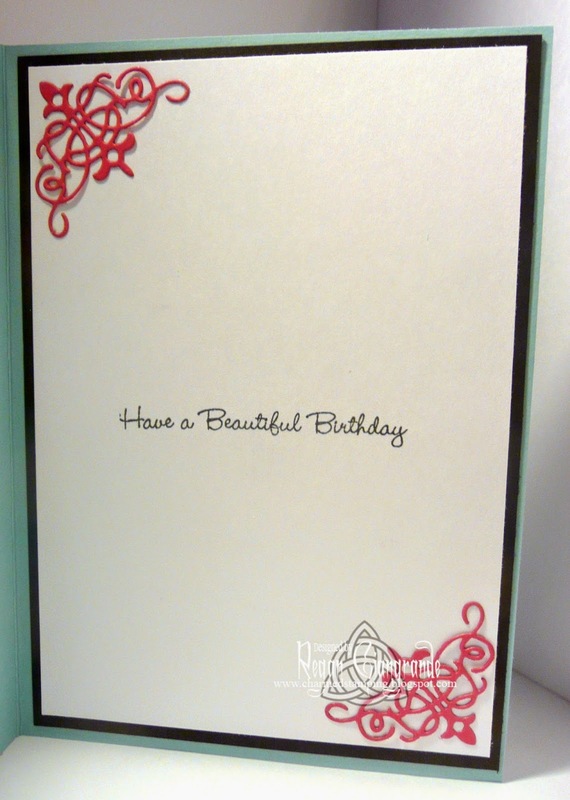 The sentiment was a freebie from Create with TLC and is cut with a Fishtail Flags Stax Die-namics from My Favorite Things. I finally have a clean craft desk again so I'm hoping to spend some time there this week. Check back to see what I've been up to! Markers used: Copics (E00, E11, E21, E31, Y32, Y35, R32, R81, R85, BG10, BG72, N2, N4, N6). Fabulous image you've chosen for a 12 year old! Great card! Thanks for sharing with us at Pile it On this week. Hope to see you again soon!